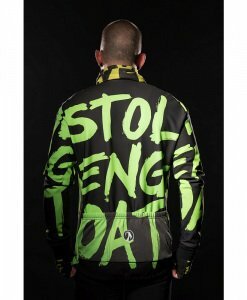 The stolen goat men’s Gnasher cycling jacket was designed to be seen! 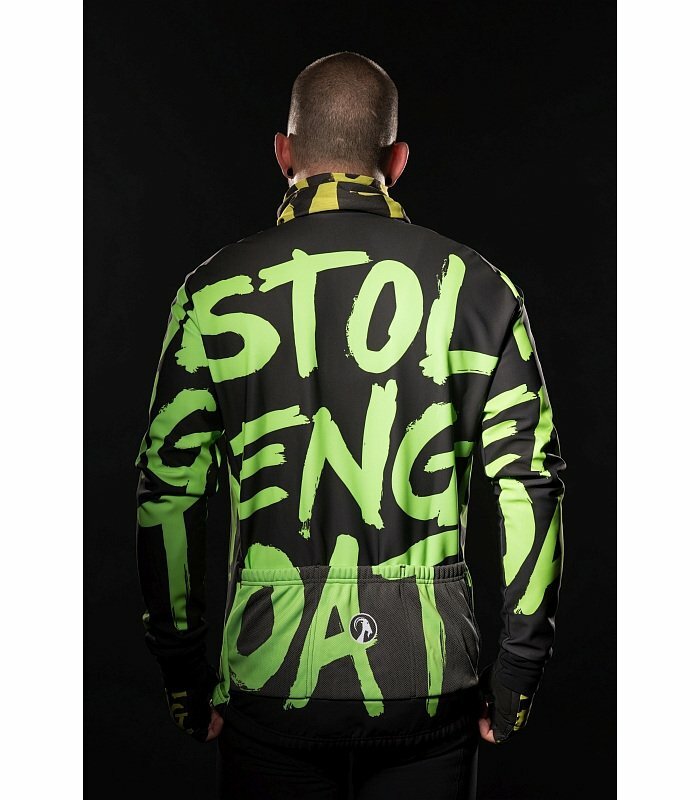 It features a black base colour with our green stolen goat “gnasher” design all over. Part of our “Be Seen” collection. 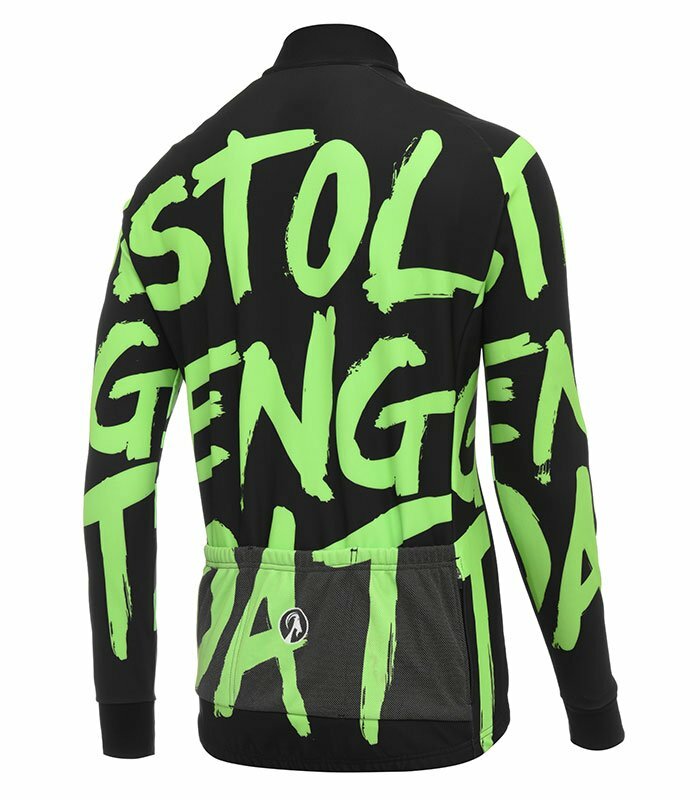 The stolen goat Climb & Conquer Winter Jacket is made from Tempest Protect, an insulating windproof & waterproof fabric that keeps you warm and dry in the harshest conditions, giving you the confidence to ride through the winter months. Designed for when temperatures head below 8 degrees. 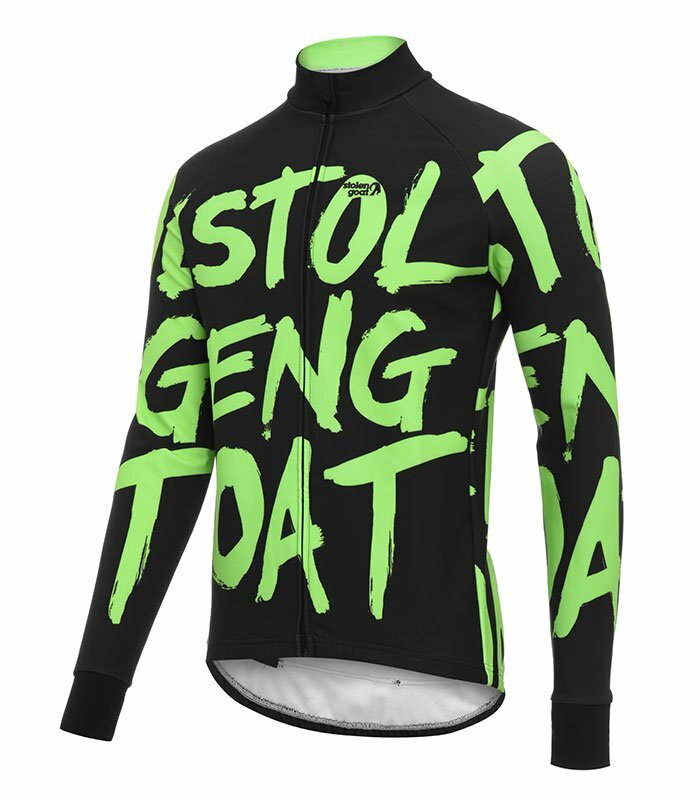 In even the most arctic conditions you can pair this jacket with no more than a base layer underneath. Perfect for crisp wintry conditions, the garment features waterproof fabric but with untaped seams allowing for greater breathability. 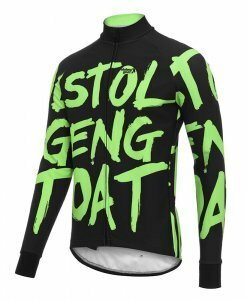 Water repellent and windproof outer layer. Designed for biting cold days this jacket will keep you warm and dry in whatever conditions mother nature throws at you. 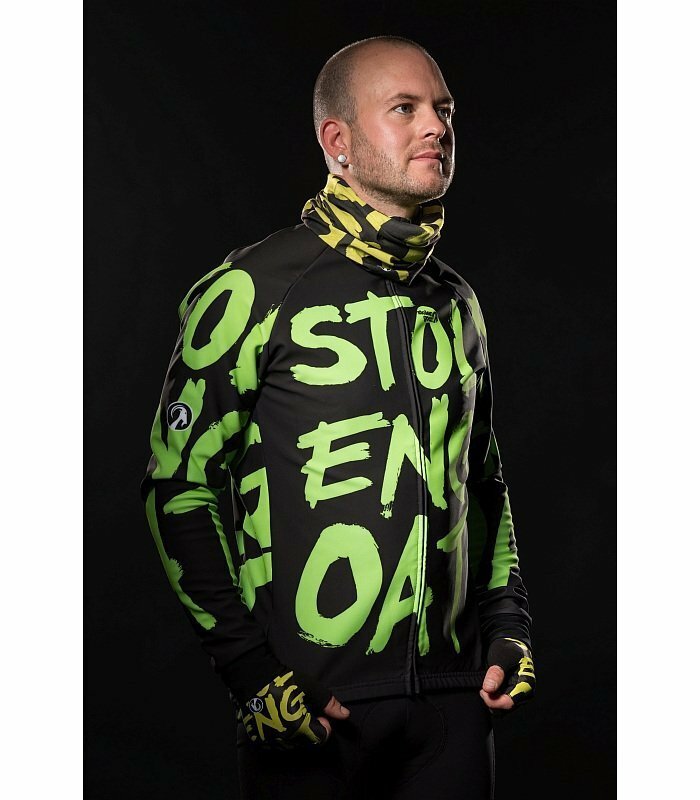 The Tempest Protect fabric is both wind & waterproof, fuelling you with the confidence to keep pedalling, on or off road, when nature is fighting back. Soft brushed lining. 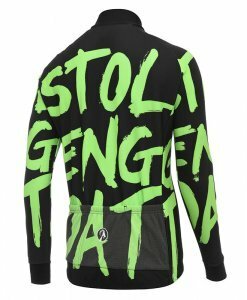 The soft fleece-like Roubaix lining makes this jacket extremely comfortable and thermally insulated. 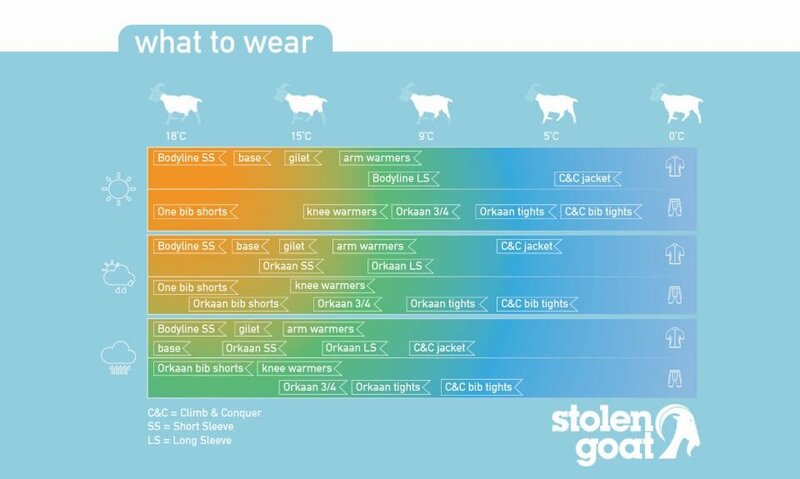 Perfect when paired with a long-sleeve base layer.. Covered zip. 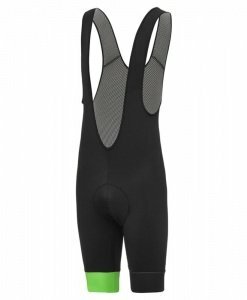 A fully hidden and covered zip helps protect against wind and cold penetration, a key benefit on those lengthy descents or the coldest of ride temperatures. Pixel100 detailing. 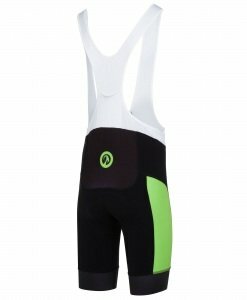 The back and side panel on the calf employ highly reflective pixel 100 fabric. Subtle grey to the naked eye, it packs a punch in deteriorating light, by reflecting a light source like car headlamps. 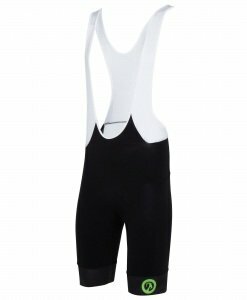 A perfect addition should you want to increase your visibility at night without compromising the look of the tights during the day. Full length YKK cam-lock zipper. You only notice a zip if it's bad. We exclusively use zips from YKK, the global leader in zip technology. These open and close easily with one hand and lock in place when pushed down. Neckline zip protector. No matter how great the zip is, if it rubs against your neck all day long, it’s annoying! 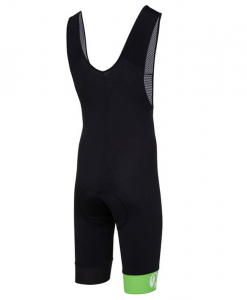 A zip garage at the neck of every Climb & Conquer jacket prevents contact with the skin. Water resistant, zipped 4th pocket. The fourth water resistant stash pocket protects vulnerable items like phones, credit cards and keys. 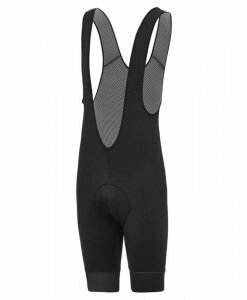 It's zipped to prevent anything falling out over rough terrain. Headphone cable hole. Should you wish to route a headphone cable through the pockets there is a special hole to do so. Performance fit. 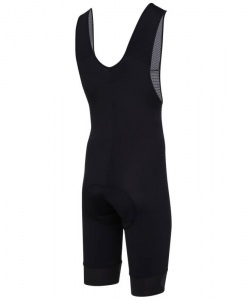 This jacket is in keeping with the fit of our Bodyline jerseys, minimising flapping. 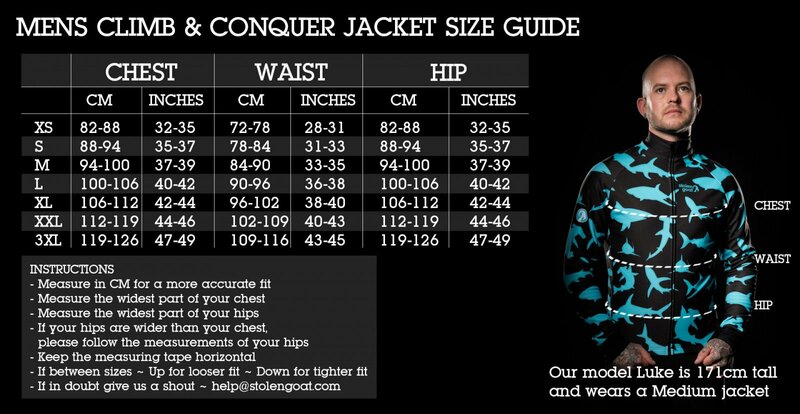 If you are looking for a more relaxed fit, please size up.